This might very well be one of those things that is amusing only to New Yorkers—and specifically those who live or work in New York City, and more specifically in Manhattan— but since that’s still almost two million people, I’m going to just press ahead. It seems as if every other pizza place in Manhattan is a “Ray’s,” of one kind or another. If it’s not a “Famous Ray’s,” then it’s an “Original Ray’s,” or a “Famous Original Ray’s,” or an “Original Famous Ray’s.” It’s a joke. Except that it isn’t. Because in fact—as this pizza-eating, Manhattan-working-in, intellectual-property-writing-about guy just learned, just this afternoon—most of those pizza places are owned or licensed by a single entity, U.S.A. Famous Original Ray’s Licensing Corp., a New York corporation based in Brooklyn, and that company owns several of the registered trademarks that many assume (your guest blogger believes) are being used willy-nilly by anyone who decides on a whim to sell pizza in New York City. Late last year, Ray’s sued a company called Famous Ray’s Pizza Buffet Inc., which unwisely opened a pizza restaurant—“Famous Ray’s Pizza Buffet,” naturally—on West 207th Street in Manhattan. The allegations of the complaint filed on December 3, 2012, in the United States District Court for the Southern District of New York are wholly unremarkable, but I would not be surprised to learn that the defendant had no idea that anyone currently holds any enforceable rights to the exclusive use of any combination of all or some of the words Ray’s, Famous, Original, and Pizza. Not that that’s a defense, of course. Someone (the defendant) should have done some research (and avoided the conflict). I will—and I also won’t—be surprised if the defendant argues that combinations of the words “Ray’s” and “Pizza” plus “Famous” and/or “Original,” have become generic and therefore necessary to competitively sell pizza in Manhattan. The complaint alleges that “Ray’s currently licenses and/or owns and operates numerous restaurants using the RAY’S Marks [those above and one other] in New York City and the New York Metropolitan area.” Seriously, there must be thousands of them, if not millions. Would certainly be interested in knowing about the level of quality control associated with this licensing. Is all the pizza in these places comparable? I would find that pretty surprising. 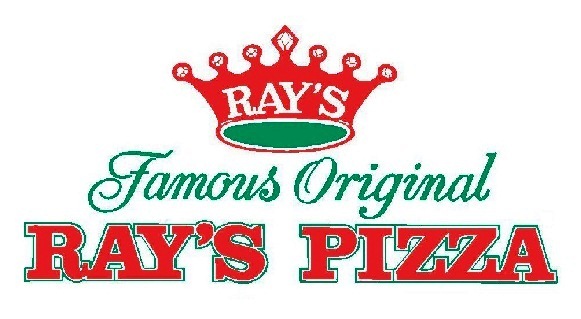 OK-BUT this begs the question: where is the Original “Original Rays” pizza located? Santa: Second, there are, like, thirty Ray’s Pizzas. They all claim to be the original. But the real one’s on 11th. 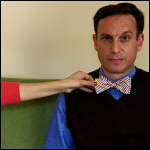 I would be sympathetic to the generic argument. Mostly because I agree with it–few people know that the different Ray’s have a relationship so it doesn’t act much like a source identifier. And certainly not a quality indetifier.